This is a list of the Mindstorms Tutorials and HOWTO I have written. They are here to help you learn more about how to program and build your robots. Some of them are basic stuff for you to learn how to code the EV3 and other are about advanced topics like line following or path-finding. Which LEGO Mindstorms Set to buy? Not sure which set to buy? Do like me and get all of them. As it is quite an investment so let me help you choose the correct Mindstorms set. 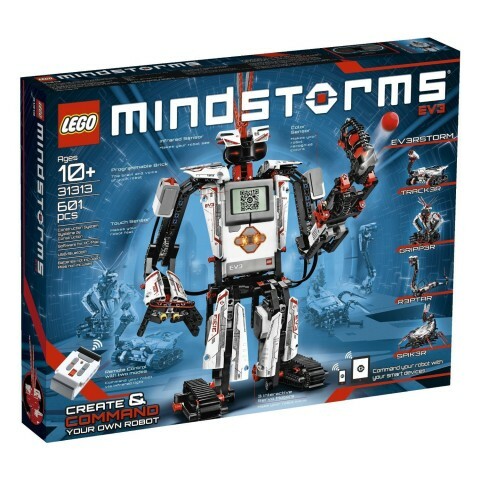 LEGO Mindstorms NXT 2.0 is to be retired soon so if you find a really good price for it I would go for the NXT 2.0 definitively. But as it isn’t usually the case I would better buy the EV3 that has more motor ports, more sensors and a faster brick. LEGO Mindstorms EV3 comes in two different flavours: Home and Education. You don’t need to be a teacher or work for a school to buy the education version. I have written an article reviewing both sets and explaining the pro and cons. One of the things that I dislike most of the Mindstorms EV3 is that it comes with no printed manual. So you may fail to realize the awesome amount of things it can really do. Also it doesn’t really teach you how to code with the EV3 software… and it is a pity because it is a great tool for fast creation of robots.